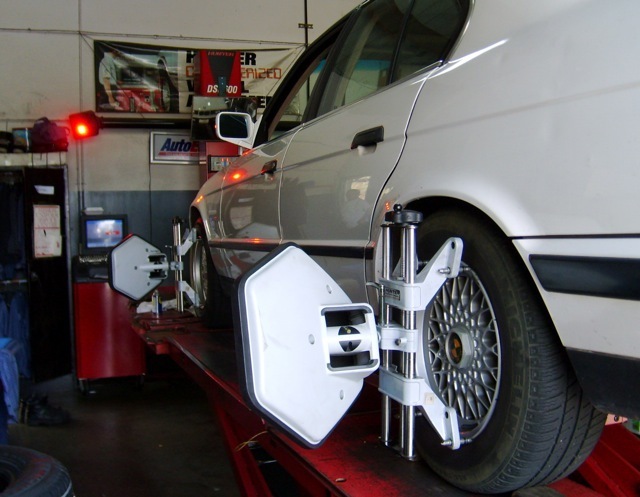 What does wheel alignment do? Basically, wheel alignment adjusts the angles of your car's wheels so that they are perpendicular to the ground and parallel to each other. The actual process involves the steering and suspension systems, not the wheels themselves. Regular alignments benefit both front and rear wheel drive vehicles with improved steering control, smoother driving, stability and greater overall safety. When do you need wheel alignment? At Ian's, we guarantee our computerized wheel alignment for three months or 4,000 miles. During this period, if your vehicle begins to show signs of misalignment in the absence of an impact, bring it in and we will make the necessary adjustments for no charge.